Can shampoos help prevent hair thinning? I bought the Phytocyane Revitalizing Shampoo for thinning hair on a whim because there was a sale at Watsons and I only had to pay S$20 for it. I have a slight problem with thinning hair due to my oily scalp but it isn’t very serious. Or at least the condition hasn’t gotten worst over the years and my hair has remained constantly…thin. 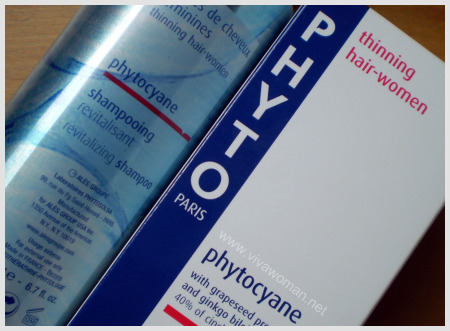 First thing first before I discuss about Phytocyane is that I think one should not expect a shampoo for thinning hair to help you grow more hair. At least when used standalone, they’re just good for maintaining a healthy scalp and possibly prevent more hair loss. I’ve tried Biolyn’s shampoo in the past and though I would say it helped to stablilize my greasy scalp and keep it healthy, but I didn’t grow noticeably more hair from using it. Afterall, if you think about it, how much can shampoos really do to promote hair growth if you’re just going to leave it on for a couple of minutes and then have it rinsed off? 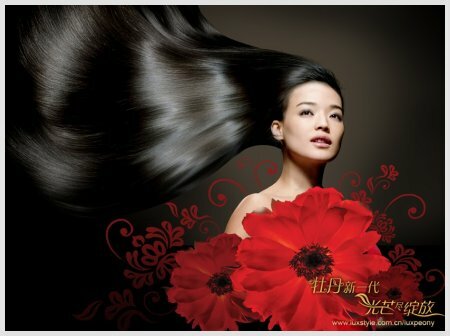 At the end of the day, you still need to apply hair serum or tonic which can stimulate hair growth. But whether your hair grows also depends on a number of other variables. Phytocyane Revitalizing Shampoo is said to be effective for treating temporary hair loss and is ideal when used with Phytocyane Revitalizing Hair Treatment. What I like is that it uses a combination of plant-based active ingredients to restore the vitality of the hair. Grapeseed Procyanidins capture free radicals and protect the hair bulb. Ginkgo Biloba activates cell metabolism and strengthens the hair. A decoction of Cinchona bark, chosen for its stimulating properties, in combination with a mild cleansing base derived from Coconut oil makes Phytocyane shampoo effective, gentle and pleasant to use. It is said to be good for those who experience temporary hair loss due to season changes, pregnancy, menopause, medication, etc and you don’t have to use it everyday; just twice a week. So actually, it’s not fair for me to review this product because I’m not suffering from a temporary hair loss. But what I would say is that I quite like the minty and refreshing citrus smell of the Phytocyane Revitalizing Shampoo and it keeps my scalp fairly clean without leaving it overly dry. However, I won’t buy this again because it makes my hair rather limp and hence, doesn’t work well for me long term. What I really need us a shampoo that can give me volume, keep my scalp oil free and at the same time does not dry up the ends. And sad to say, I still haven’t found the right shampoo. If you are suffering from temporary hair loss, you may wish to try this shampoo to strengthen your hair. However, be sure to appy hair tonic or serum as well for more effective results and be realistic not to expect quick fixes or miracles. More important, be sure to identify the cause of your hair loss and address the problem directly with suitable treatments rather than just relying on hair thinning shampoos or products. Prettybeautiful: I don’t dare to try H&S. My hub uses it but I think it’s too strong for my scalp. I used to shampoo twice too for a long time but these days, I just do it once by applying a bit more shampoo and leave on for a few mins before rinising off. I saw Sukin shampoo and conditioner being sold at $23.95 for a huge bottle of 1 litre. Thinking if I should get it coz its got no SLS…not sure if it will foam up nicely. hehe…I’m not so concern about my products being organic. pf1123: You know I love Sukin’s facial cleanser and body wash. I’m also using their body lotion. But I cannot bring myself to try the shampoo. I don’t think it can work for my stubborn greasy scalp. It should foam quite nicely cos both the facial and body wash do too. I was reading ParisB’s review on the shampoo and conditioner. She mentioned that the shampoo and conditioner doesn’t weigh the hair down. That might be good news for a number of girls but not for me! I have very very thick hair and I need to rebond + layer cut significantly to survive in Singapore. If the shampoo and conditioner doesn’t weigh my hair down, I’ll look like a lion’s mare! Or Albert Einstein! Yes, I have terribly thick hair. In fact, I went to do my hair last night. Usually when I’m at the salon, my hairdresser and her assistant would have to blow dry my hair together for 15mins to get it completely dry. Also both have to iron my hair. I change my shampoo and conditioner frequently because they won’t work for me after sometime. My hair gets really stiff and tangling. I find that rotating shampoos and conditioners help. At any 1 time I will have 2 shampoos and 3 conditioners. Mixing and matching them every other day when I wash my hair helps me keep my hair soft and manageable, better than just using one at a time. pf1123: How frequent do you wash your hair? I always wonder how is it like with thick hair cos styling your own hair would be quite time consuming? And it’s true what you say about rotating shampoos. I tried that occasionally and the shampoo works better. It’s the product build up accumulated over time…but a plus for me is that I don’t use conditioner. It weighs down my hair! I wash my hair every other day. If I wash it everyday, it will get too dry. I do rebonding because I don’t want to style my hair. Its the most fuss free thing for my hair. I don’t even need to comb my hair. Btw, did you get my write up on the LRP sunscreen? I’m at work, so I can’t excess my hotmail. Hope its fine. If there’s anything you want me to amend, just let me know. You might like to add in links also where you deemed appropriate. I highly recommend Nature’s Gate range of shampoo (< $20). I have fine hair, oily scalp and occassionally itchy scalp. At one point my hair loss was alarming! The green tea shampoo helped control the itch and grease while the grape fruit & wild ginger shampoo promotes hair growth. Coupled with evening primrose, I notice my hair loss has reduced significantly despite my longer hair length. This is a relief to me becos I tried countless salon shampoos and alot of money on hair treatments which did not solve my problem. So, here's my contribution to this blog 🙂 Eve: Hey thank you very much for recommending this! I have looked at their products for awhile but only used their deodorant. Never thought about the shampoo cos didn’t think they would deliver. I’ll give it a try soon but a question – you mentioned two shampoos so you use both on alternate days? You could try Nisim for oily hair. It’s quite good for cleaning the scalp…i have just started and my scalp does feel clean after washing. Another recomended to me was Kerastase’s Bain Divalent – for greasy scalp and dry ends. my friend uses this and says it works really well for her. Since college, my hair has steadily become thinner. I have tried MANY products, and none of them work as well the Shielo Volumizing. Before I tried using it daily, I was told that I should have a picture taken of my scalp before I started using it, so I did. About two months later, I took another picture, and I was truely amazed. My scalp actually had MANY new hairs growing. I was SO happy. I highly recommend Shielo’s product if you are looking for something safe to help with hair loss. 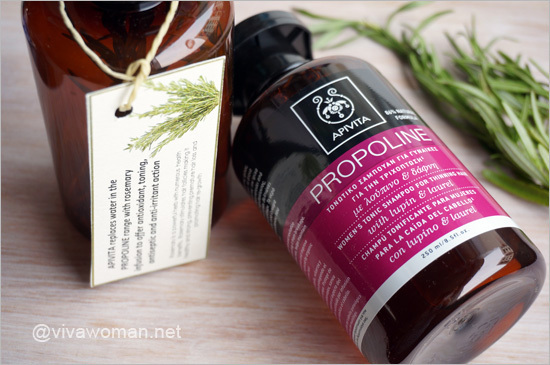 I was worried on my hair treatment because I am using hot oil treatment for so long and once at a glance, I read topic that hot oil treatment can cause baldness. I am confuse about this because, if I don’t used hot oil treatment, my hair is dry and not smooth. Please help me up this issue. I’m afraid it would lead to hair loss issue. It won’t lead to baldness, especially since you don’t apply the oil on your scalp. Have you tried RegenePure DR Shampoo? After moving to Singapore my hair was shedding a lot (it may have to do with the humidity here). The RegenePure shampoo isn’t available in Singapore; I bought it online from their official website. Has done wonders for me in terms of reducing the shedding. Really big difference after washing my hair a few times with it. They say you can use the RegenePure NT as a conditioner, but frankly I found just the DR shampoo alone has been more than enough in keeping my hair healthy and full. (For background, I’ve been using RegenePure for about 18 months). Hope this helps. Oh alright…will check out the brand. Am currently trying one that is supposedly said to help promote hair growth but haven’t seen much results. 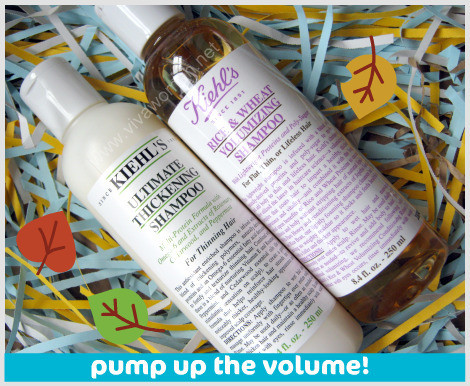 Most of these medicated shampoos for hair loss contain SLE/SLES and parabens. These ingredients are harmful for hair and scalp. Recently, a friend of mine has been told to use this new shampoo which reduces hair loss. It has natural ingredients such as Argan oil, Saw palmetto, Aloe vera, Arnica extracts which are known to reduce hair loss and increase hair growth.